At a ground-breaking ceremony for the Immanuel Reformed Church on June 24, 1922, twelve trustees, including Charles C. Zies, Sr. and John H. Weller, signed a contract for the construction of the new building. Plans filed a few days later for a white marble structure with a capacity of 750 people at a cost of $50,000. In May 1924, the new building served as the site of celebration for the “golden jubilee” of the Baltimore Classis of the German Synod of the East of the Reformed Church in the United States, including lectures by Rev. Dr. H.G. Schlueter on “The Historical Background of Baltimore Classis” and Rev. J.G. Grimmer on “Baltimore Classis Then and Now.” A classis is an organization of pastors and elders that governs a group of local churches. In the late 1950s, the church followed others in the neighborhood in a move away from the area, breaking ground on April 7, 1957 at a site on Edmondson Avenue west of Rolling Road in Catonsville. The new building is a “contemporary brick church.” By 1958, the building was home to St. Mark’s Baptist Church, also known as St. Mark’s Institutional Baptist Church, that continues to worship at the building up through the present. Eli Pousson, “St. 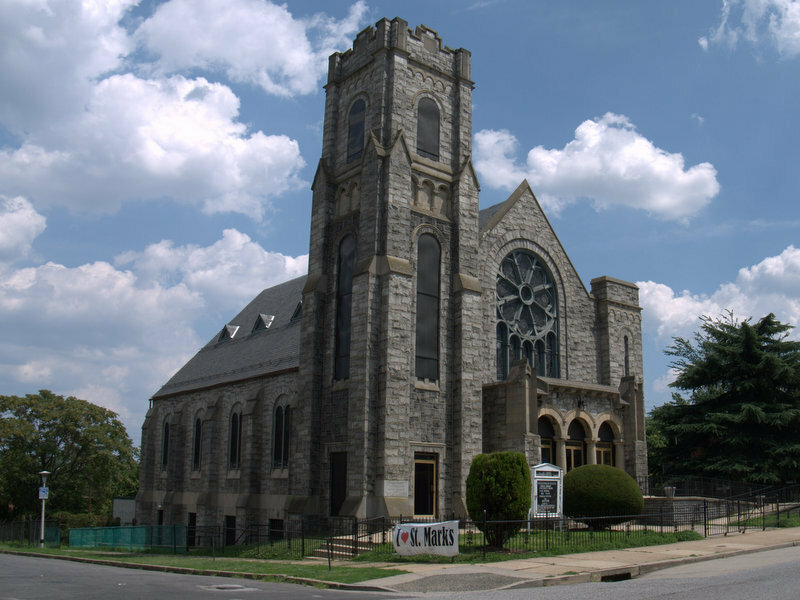 Mark's Institutional Baptist Church,” Explore Baltimore Heritage, accessed April 19, 2019, https://explore.baltimoreheritage.org/items/show/252. Published on May 8, 2013. Last updated on Nov 27, 2018.